Arnhem has a wide and diverse range of entertainment options. There are several theatres that supply a rich programme of dance, music, cabaret and seasonal shows. Between the 4 cinemas in Arnhem there is always something to catch your attention and fit in your schedule. A recent edition to the Arnhem evening entertainment has been an English-speaking comedy night if you want to get your giggles, or if you preferred a pub quiz, you won’t be disappointed. And as for bars…there are enough to discover yourself in time! Finally, if you wanted the big entertainment stars to come to you, check out the well established venues that put Arnhem on the music map. All in all, there is plenty to keep you entertained. The Uit in Arnhem magazine is a good place to start your search for entertainment. It is free and often available to collect in shops, theatres, train stations etc. It lists lots of entertainment and cultural things that are happening around the area. Live Music comes in many shapes and forms in Arnhem. You have the infamous Luxor Live in the centre which hosts performances from well known and respected names. It is worth checking out their agenda and it is packed. The GelreDome is the second biggest football stadium with a roof on in the Netherlands, and thus becomes a suitable location for international touring bands and other shows. An interesting feature of this stadium is how the turf gets rolled outside so people can stand in the middle of the pitch area and space inside.The GeleDome is also the home to the local football club, Vitesse. Pegasus Pub in Arnhem is a good starting point to meet fellow English-speaking inhabitants of Arnhem. There are many events held here and a popular Pub Quiz Night and Karaoke. The Openluchttheatre (open air theatre/amphitheatre) in Velp is such a treat. It is located on the edge of the Posbank and in surrounded by the woods. Theatre shows, orchestras, children’s shows and music are featured regularly throughout the Summer. But as it’s open-air, it is a Summer-only theatre. For more information check their website; (but remember, ‘Summer’ only). The Theatre de Hof is a tiny delightful treat of a theatre where you can sit with your friends and a drink around the table and enjoy the show. The Post Theatre in Klarendaal, Arnhem specialises in Caberet but has a wide range of offerings including music. Pathe cinema in the centre of Arnhem has an excellent film selection and a special Kinder Bio (children’s film) on Sunday mornings; and here is the children movie program. 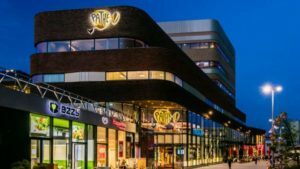 Vue Cinema in Arnhem also have kids screening on during the day. The welcoming and cozy Focus Filmhuis in the Korenmarkt in Arnhem has a Focus Mini club showing films for the tots 8 times a year on a Wednesday morning at 9.45. Check the schedule for more information; Note: The cinema is moving soon – a contemporary cinema is being built on Audrey Hepburnstraat. Soon to be opened! The CineMec is the prefered cinema location for some, as it is conveniently located between Arnhem and Nijmegen on a little lake. You can both enjoy a movie and a stroll at the little beach. And not to mention there is abundant parking.